This is an usual post from me, more of an update than a feature. I’ve been getting involved in more and more projects, which I love. However, I have found it gives me a little less time to write large posts. So, one of my new years resolutions is to make a concerted effort to post little and often to keep you all up to date with my shenanigans. I’ll still be writing the larger pieces though, they’re my favourite. I hope you’ve all had a wonderful Christmas and New Year! It’s been fantastic to have a few days off with loved ones, and a bit of a rest too. I also hope you enjoyed opening your Drinks by the Dram and Boutique-y Calendars as much as I did! They’ve really upped their game from last year. I’m consistently wowed by new gins. They keep coming, and with such good quality! The possibilities for creation really are endless. The next couple of weeks are going to prove rather busy at Ginfluence central. I’m finishing an article for Gin Magazine, judging at the World Gin Award finals and then wrapping up the first assessment of my MA. Needless to say, I’m feeling the pressure somewhat, but it is so very good to be busy. On the 18th however, I’m going on an adventure. I’ll be flying out to San Francisco to judge the American Distilling Institute’s Judging of Craft Spirits! It’s a great event and I’m really looking forward to meeting some of the fantastic industry people out there (and taking lots of notes for sure!) I’ll also be spending a couple of days either side of the judging to take a look around San Francisco, to learn a bit of it’s literary history and get myself into some gin bars. Top of the list is Whitechapel, although I’ll certainly be heading for others too. I’ll be there until the 27th, posting updates as I go, rather than writing a large piece when I get back. Please do get involved with suggestions! It’s my first time in San Francisco and although it’s only a short stay, I’d like to squeeze in as much as possible! Happy January, you lovely lot! Sweden’s Smögen distillery has released Strane Ultra Uncut Gin 82.5% in a deliberate attempt to regain the record for the world’s strongest commercially available gin. Strane London Dry Gin Ultra Uncut 82.5% is a limited edition variant of Strane London Dry Gin. Whilst the high strength of Strane Uncut 76%, which previously held the record for three years, came about as a consequence of the unusual way Strane Gin is produced, Strane Ultra Uncut 82.5% is a deliberate attempt to push the boundaries of gin distilling to the extreme, as far as intensity of flavour and strength goes, using a traditional copper pot still. Back in 2014, looking to preserve the intensity of the flavours in gin distillation, Pär Caldenby, distiller/ proprietor of the Smögen Distillery, developed a methodology where three base gins are distilled and then blended to create complexity and balance, before the addition of water. As Pär Caldenby blends the base gins straight from the still, before the addition of water, he became accustomed to sampling Strane ‘uncut’, and decided to create the ‘Uncut’ addition to the Strane Gin family, along with Strane Merchant Strength 47.4% and Strane Navy Strength 57.1%. For Pär Caldenby, ‘Uncut’ refers not just to the consequential high strength, but more importantly to the intensity of flavour when undiluted. In so doing Pär Caldenby invented a new category of gin, and created what was the strongest gin available in the UK for three years. With Strane Ultra Uncut 82.5%, Pär Caldenby has deliberately tweaked the production process to take the intensity and strength to a new level. This was done with a much stronger charge of the still than usual and also by doubling the amount of botanicals, for massive flavour. Given the high strength Strane Ultra Uncut 82.5% is only to be enjoyed in the smallest of measures, hence it will only be available in 200ml bottles. Exercising due care, it can be savoured neat and ideally well chilled, in very small sips (with a glass of water on the side), which delivers an intensive juniper-led flavour impact, with great complexity from the other botanicals, including coriander seeds, almonds, liquorice root, lime and fresh herbs. In Pär Caldenby’s words, ‘This leaves the palate clean as a whistle’. For a longer serve Pär Caldenby suggests one part of Ultra Uncut to two parts of tonic water from Fentiman’s, on plenty of large ice cubes. Strane Ultra Uncut 82.5% also makes an interesting base for creating your own fruit liqueurs and infusions. As far as we are aware, prior to Ultra Uncut the record for the world’s strongest gin was held jointly by two gins at 80%, one Danish and another from South Africa. Thus we believe Strane Ultra Uncut at 82.5% reclaims the record of world’s strongest commercially available gin for Strane, whilst also offering flavour intensity of the very highest order. 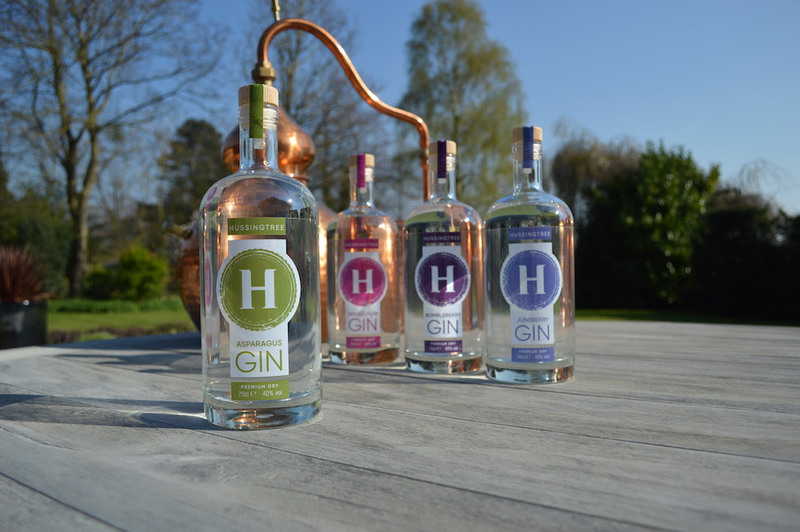 Robert Ransom, from UK importer Highfern Ltd said, ‘So far Pär has distilled every drop of Strane Gin and Smögen Whisky personally. He did not intend to start a ‘strength race’, but as a pioneering distiller, having been challenged, could not resist responding’. Summing up Pär Caldenby said ‘Its flattering that others have copied our Strane Uncut as regards strength in abv. I have enjoyed the challenge of taking this to the next level in all respects. However, strongest gin or not, I believe gin enthusiasts will enjoy and cherish the incredible intensity of flavour that our Strane Ultra Uncut delivers’. I’m with Pär here. I don’t think I’d have been able to resist responding either. I also agree that it’s important to note that although the strength of a drink certainly tickles a little excitement in us, it’s the taste that really hooks us. I’d love to give it a go. The idea of lime and herbs sounds really interesting. Apparently the first chance to try it will be at a Strane Masterclass hosted by Robert himself at the Nickolls and Perks Just Gin Show, in Stourbridge, on the 28th of July. Get yourself there if you’re nearby. It sounds like a great event and a rare opportunity to try a true showstopper. It will be available shortly through Master of Malt, for the appropriate price of £33 for a 200ml bottle. Robert also kindly clarified the other uncut gins mentioned in the initial article I read on Master of Malt. The Danish gin is Skan der Bronx 80%, which was apparently a deliberate attempt to be stronger than Strane Uncut. Taking a look at their website is intriguing as although they’re honest about their intentions to “beat the Swede” in a rather tongue in cheek manner, they don’t actually clarify much on the way it’s made, i.e. is it a London Dry, or name the distillery that makes it either. There is also Pienaar and Son’s Drought Gin 80% from South Africa, released at uncut strength to save water. Pienaar are a great little distillery, included in Cape Town Gin Route, as covered by my first guest writer Yolisa Qunta a couple of weeks ago. Thanks for getting in touch, Robert. Great information to add to a really interesting story. I hope things go well at the Just Gin Show.